This python script was created to starting Houdini easily with the right workgroups/renderers etc. without changing everytime the local env file. Done with PyQt4. Including a WOL functionality for my NAS and a preset/job system. The preset System can be used globally and pushed, to make them accessible to other clients/worksations. Global presets have a “_” char at the first position. I implemented a Preset Check to make sure the workgroups/renderers are physically existing. If not, you will get a warning, so you can reinstall them. I also modified my Thinkbox Deadline submission scripts to handle variable environments & the proper Houdini version for my render machines. Right now i can start Arnold & Redshift from a workgroup location. I implement also a checkup function to my ns_Version plugin for Houdini. The checkup starts with the 456.py script and guaranteed the right environments for my projects. 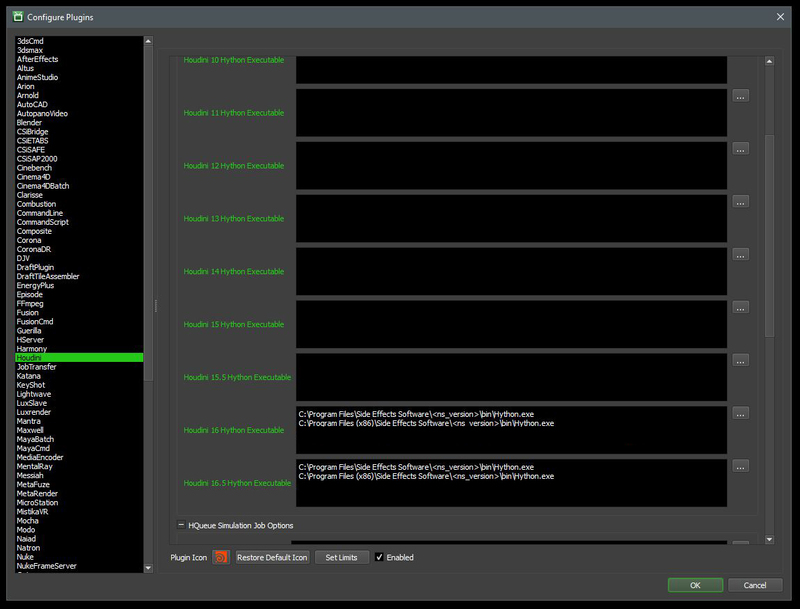 I implemented a update function per robocopy as well, to keep all up-to-date over all clients/workstations. 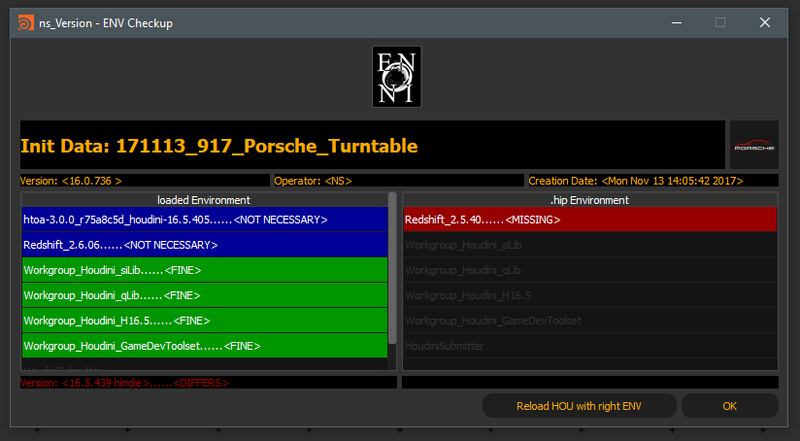 Houdini: ns_Version – ENV Checkup per project inside Houdini. (You can see, the project was original created with Houdini 16.0.736 and with a lower Redshift version). To pass the right environments/version through Deadline, i write out a .xml-file which is uniqe named against the render-.hip. In the Deadline “Configure Plugins…” Editor, i replaced the executable pathes with my <ns_version> tags. Set HOUDINI_NO_ENV_FILE=1 to ignore user specific configurations. More variables and descriptions find here: http://www.sidefx.com/docs/houdini/ref/env.html.